BIG ISLAND Home to fiery Kilauea volcano and lush waterfalls, the largest of the Aloha isles beckons couples with an adventurous spirit. The Fairmont Orchid’s 20th Anniversary Celebration offers rates as low as $279 per night, plus guests get a 20 percent discount on all food, beverages, and Spa Without Walls treatments (pictured above), through December 2010. The Four Seasons Resort, Hualalai is offering a $500 resort credit for every four-night consecutive stay, with nightly rates starting at $650 and select blackout dates through December 17, 2010. Kona Village Resort is offering a Fare Deal package that gives an $800 airfare credit to couples who book a Garden View, Partial Oceanview, or Oceanview hale for five nights, at published rates starting at $780, including meals, through mid-December. The Keauhou Beach Resort has a Drive, Dine & Doze package that includes daily breakfast for two and a compact car rental, with rates starting at $169/night, through December 21, 2010. KAUAI The Garden Isle offers hiking trails, zip lines, and water-based thrills – plus a refreshingly quiet, Old Hawaiian-style ambience. The Sheraton Kauai Resort’s 50/50 rate of $285/night is valid through December 25, 2010 with a booking of five nights or more and includes a $50 daily food and activity credit. 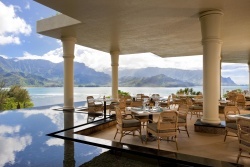 The Westin Princeville Ocean Resort Villas is also running a 50/50 promo, offering rates starting at $325/night with a five-night stay and a $50 daily resort credit, valid through December 30, 2010. Plus, Starwood Hotels & Resorts is offering a $1,000 resort credit at the luxurious St. Regis Princeville Resort (pictured at right) for every five consecutive nights booked to be used for dining, spa, room upgrades, and more, through January 7, 2011. Boutique newcomer Koa Kea Hotel & Resort is offering a $269 rate with a stay of five nights or more, through December 19, 2010. 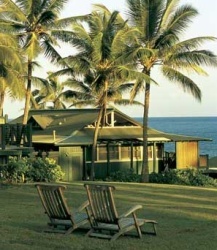 Peace, quiet, and fabulous golf can be yours on this intimate little isle that’s easily accessible from Maui. The Four Seasons Resort Lana’i at Manele Bay (pictured at left) has a Stay Longer – Fourth Night Free offer that lowers nightly rates to $296, valid through December 18, 2010, while the same promotion at sister property The Four Seasons Resort Lana’i, The Lodge at Koele lowers rates to $197/night with a three-night stay. This is the island for serious pampering – on beautiful beaches, in serene spas, and over candlelit tables. 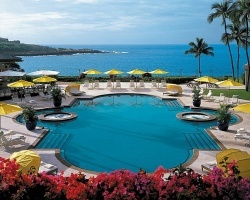 The Ritz-Carlton, Kapalua offers a Resort Reconnect package for $399/night that includes accommodation, daily breakfast for two, and a daily resort credit of $130, valid through December 22, 2010. Romantic and secluded Hotel Hana-Maui is running a Maui Fling special: two nights in an Ocean View Sea Ranch Cottage (pictured at right) with daily breakfast and a candlelit, three-course dinner for two, $990, though mid-December. Waikiki pulses with surf-culture energy and shopping and dining galore. With Starwood Hawaii’s Sunsational Savings promo, book two nights at either Moana Surfrider, A Westin Resort (pictured at left) or The Royal Hawaiian and get daily breakfast for two and a third night free, with rates from $405/night and $540/night, respectively. 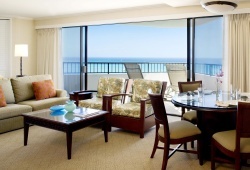 The Waikiki Beach Marriott Resort & Spa has a Hawaiian Sand Dollar Package starting at $269/night with daily breakfast and the fourth night free, valid through December 18, 2010. Couples who love to tee off together should check out the Daily Unlimited Golf Challenge at Turtle Bay Resort on the North Shore, with rates starting at $319/night and including a day of unlimited golf on Arnold Palmer and George Fazio-designed courses, valid through December 23, 2010. 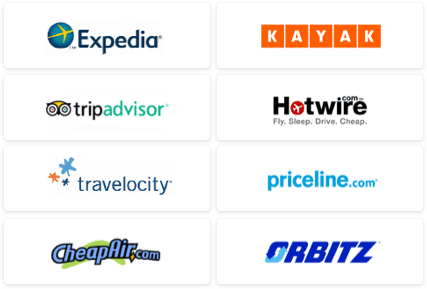 Find more hot summer offers with our Hawaii Travel Deals. 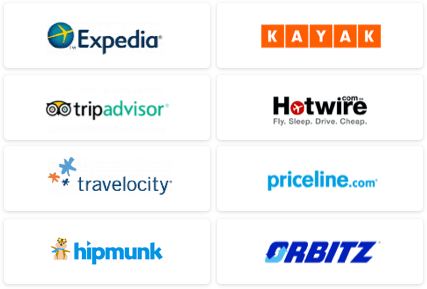 For general trip-planning info, see our Hawaii Travel Guide.